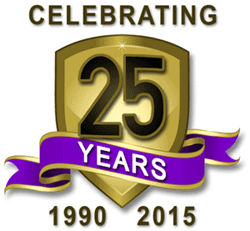 25 years… where did it go? 10 August 2015… an anniversary…..
An anniversary is a Day that commemorates or celebrates a past event that occurred on the same date of the year as the initial event. This one marks 25 years in my chosen career as a firefighter. 25 years… where did it go? It is such a significant length of time. So much has happened across that 25 years, and it is with a heavy heart that I can reflect that 25 years represents almost two and a half lifetimes for the one hero in my life… Samuel..my little man, who will forever be 10… and how nothing can ever prepare you for such a loss. It is also 25 years that has given my family and I a lot… friends, education, stability and a lot lot more. At the 21 year mark I reflected on some of the lessons learned to that point, and they still hold, so I’ll repeat a few of them with some extras. I have learned how fragile human life is. I have learned how strong and resilient the human body can be, despite what people and circumstances can do to it. I have learned how indestructible the human spirit can be. (and sadly learned how the seemingly indestructible spirits of some of the greatest people you meet can be broken). I have learned that there is always someone willing to help (including when you find it hard to ask for help), and some one willing to watch your back, and how to reciprocate such loyalty and friendship. I have learned that there is strength in unity. I have learned that life and death is a matter of millimeters and moments… where each 1 millimeter or moment in one direction can save a live, and in the other cost a life. I have learned….. that I have never finished learning…..and never want to. What for the next 25? In another 25 years it will not be a post about still working…. none of us know how long we have, in our jobs or in our lives. Very few people get to have careers like this…. but I am sure the next 25 years will have plenty of lessons in it as well. This entry was posted in Resilience, Thoughts and tagged courage, death, learning, persistence, reflection, Resilience, Thoughts by Mick Morris. Bookmark the permalink.